News from LMCU: Are You A Bill Pay User? 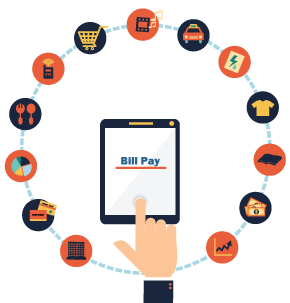 Are You A Bill Pay User? System update coming May 15.
that will make it even easier to pay your bills. Thursday, May 11 at 4:00pm to Monday, May 15 at 8:00am – when the old Bill Pay system will not function. All other online functions at LMCU.org will continue to run. If you have recurring or automatic payments scheduled during the blackout period, those transactions will be completed on May 15. If that puts you overdue, you should manually make the necessary payments or schedule them before May 11. If you have any questions regarding this upgrade, please contact us at (844) 357-6727.